The majority of electricity market share in deregulated states is held by the major retailers, AGL, Origin and EnergyAustralia. However, in recent years a growing number of smaller retailers have risen up and slowly begun to chip away at the big guys. Among those leading the charge are Lumo Energy and Simply Energy. Both these retailers offer big discounts and alluring specials, but how do they stack up in value when pitted against each other? In this article, Canstar Blue compares Lumo Energy and Simply Energy electricity deals across each operating state to see which is cheaper. While some plans share the same names across different states, the details of the offer may vary. Be sure to read the energy price factsheet for full details and ensure it’s the right deal for you. As both providers regularly change their plans, check their websites for up to date information. You can also compare their latest offers with our energy comparison tool. Here are the current cheapest published deals on our database for Simply Energy and Lumo Energy in the two states they serve – Victoria and South Australia – with any conditional discounts factored in. Here are the cheapest published deals for Simply Energy and Lumo Energy on our database for Victoria. These costs are based on a typical three-person household living on the Citipower network in Melbourne, but prices may vary depending on your circumstances. Use our comparison tool above for a specific comparison in your area. This table includes a featured product from a referral partner. Here are the cheapest published deals for Simply Energy and Lumo Energy on our database for SA. These costs are based on a typical three-person household living on the SA Power network in Adelaide, but prices may vary depending on your circumstances. Use our comparison tool above for a specific comparison in your area. This table includes a featured product from a referral partner. Victoria is the most competitive energy market in Australia, and this is reflected by the wide range of offers available from Simply Energy and Lumo Energy. Let’s start by reviewing those from Simply Energy, which has a strong focus on eye-catching discounts and promotional offers. Simply Save: Simply Energy’s base offer electricity plan, this comes with a significant 30% discount off usage charges when you pay your bills on time. It has a 12 month benefit period and no exit fees. It is a variable rate plan, meaning prices can change at the retailer’s discretion. Simply Plus: This offer is a step up from the Simply Save plan, providing a maximum discount of 40% off usage charges when you pay on time. It also comes with no exit fees and has a benefit period of two years rather than one. Simply RACV Plus: This energy deal is exclusive to RACV members in Victoria, offering a maximum discount of 45% off usage charges when you pay on time. It has a 24 month benefit period and no exit fees. Simply Gold Class Plus: This deal includes Simply Energy’s standard 30% pay on time discount, as well as up to 16 gold class movie tickets for use at Village Cinemas. It has a benefit period of two years, with no exit fees. Simply AFL Plus: This is an energy offer targeted at fans of Aussie rules football in Melbourne. With a 30% pay on time discount, is it very similar to the above plan, but also includes up to $480 in ‘free kick’ credit over the course of two years. Lumo Energy has four main electricity offers in Victoria. 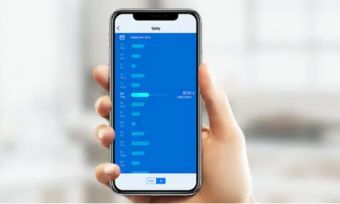 While Lumo’s discounts might not look quite as impressive as Simply Energy’s at face value, Lumo Energy discounts apply to your entire bill, not just usage charges, which could prove just as beneficial, if not more so. Lumo Value: This seems to be Lumo’s flagship electricity product in Victoria, with reasonable rates and a modest 5% total maximum discount off electricity usage and supply charges. This includes a 3% pay on time discount, with an additional 2% should you agree to direct debit billing. The contract is ongoing with no exit fees. Discounts are also ongoing. Lumo Movers: Lumo Energy is one of few retailers to offer a specific plan to renters. In this case, the deal is very similar to the one above but comes with no connection or disconnection fees for moving, though terms and conditions apply here. Like the Value plan, a discount of up to 5% is also available. Lumo Flix: Like Simply Energy, Lumo Energy has a plan that brings movie tickets. In this case two-for-one HOYTS movie tickets from Monday to Wednesday. Other than that, the product is similar to the Value plan as it comes with either a 3% or 5% discount depending on whether or not you want to pay by direct debit. Lumo Basic: Lumo Energy has also recently launched a plan with no conditional discount, just competitive rates. It comes with no lock-in contract or exit fees. As you can probably tell, Victorians are spoiled for choice when it comes to electricity retailers and plans. Unfortunately, that also makes it difficult to find the best value deal. To see who is cheaper between Lumo Energy and Simply Energy, we have compared the cheapest plans of each retailer. These prices are estimates of what a three person family in Melbourne (on the Citipower network) can expect to pay each quarter, after discounts have been applied. We have used a specific postcode in Melbourne to obtain these quotes. Use our energy comparison tool above for a specific quote for your suburb. *Costs based on annual statistics from AER for a three person household on the Citipower network in Melbourne, January 2019. In Victoria, we know that the biggest discounts don’t always mean the biggest savings, but in this case Simply Energy’s big discount works out slightly cheaper. But consider that Lumo’s Value 5 plan also brings access to Lumo Ameego – the retailer’s rewards program which brings other cost-saving benefits. You can compare these costs to many other providers in Victoria with our price comparison report. Simply Save: This plan comes with a maximum discount of 10% off usage charges when you pay your bills on time. There is a 12 month benefit period and exit fees apply. Simply Extra: This is a bit of an upgrade on the above plan, with a maximum discount of 22% off usage charges when you pay on time. Unlike the Simply Save, this one has a two year benefit period, but once again exit fees will apply if you leave early. Simply RAA Extra: This offer is exclusive to members of RAA, with a maximum discount of 25% off usage charges when you pay on time. It has a two year benefit period and no exit fees. Simply Movie Plus: Like in Victoria, Simply Energy has an energy offer for movie fans. In addition to a 10% conditional discount, this offers either 16 Gold Class or 32 traditional tickets at Event Cinemas. There is a two year benefit period. Simply AFL Plus: This is an energy offer targeted at fans of Aussie rules football in Adelaide. With a 10% pay on time discount, is it very similar to the above plan, but also includes up to $480 in ‘free kick’ credit over the course of two years. Lumo Energy offers South Australians the same product suite as Victorians get, but of course costs will vary depending on your personal circumstances. Lumo Value: The Value plan from Lumo Energy comes with reasonable rates and a modest 5% total maximum discount off your whole bill. This includes a 3% pay on time discount, with an additional 2% should you agree to direct debit payments. It is an ongoing with no exit fees, and the discounts are also ongoing. Lumo Movers: This deal is similar to the one above, but comes with no connection or disconnection fees for moving, though terms and conditions apply here. Like the Value plan, a discount of up to 5% is available if you pay on time and by direct debit. Lumo Flix: This Lumo Energy plan is very similar to the Value deal, but the difference is this plan comes with the added benefit of two-for-one HOYTS movie tickets from Monday to Wednesday. Like the Value plan, you can get either 3% or 5% off your entire bill depending on when you want to pay by direct debit or not. Lumo Basic: This is Lumo Energy’s basic plan with no conditional discount, just competitive rates. It comes with no lock-in contract or exit fees. To find out which electricity provider works out cheapest in South Australia, let’s compare the Simply RAA Plus offer and the Lumo Value plan, both of which include modest pay on time and/or direct debit discounts. Be sure to use our energy comparison tool for a specific quote in your area. *Costs based on annual statistics from AER for a three person household on the SA Power network in Adelaide, January 2019. There is not much of a difference on this occasion, with Simply Energy only just cheaper. If you’re still torn between the two retailers, also consider if you could benefit from Lumo’s rewards program. You can see how other retailers stack up in our SA electricity price comparison report. Lumo Energy has taken the backseat in New South Wales to sister company Red Energy. Lumo Energy customers have been transferred to Red, while all new customers looking to sign up to Lumo in NSW are redirected to Red instead. Meanwhile it is business as usual for Simply Energy, offering a diverse range of electricity plans. Simply Save: This plan comes with a 10% discount off electricity usage charges for the first 12 months when you pay on time. Exit fees apply if you leave before the 12 month benefit period. Simply Plus: The obvious difference between this plan and the one above is that the Simply Plus plan is a two year contract, but comes with an increased 18% off usage charges when you pay on time. Exit fees also apply. Simply NRMA Plus: This is an exclusive offer to NRMA members in NSW, bringing a maximum pay on time discount of 26% off usage rates. It is a two year plan with no exit fees. Simply Movies Plus: This is Simply Energy’s movie offer for customers in NSW. It comes with a 10% conditional discount and 16 Gold Class movie tickets to use during the 24 month benefit period. Exit fees do not apply. Simply AFL Plus: This is an energy offer targeted at fans of Aussie rules football in Sydney. With a 10% pay on time discount, is it very similar to the above plan, but also includes up to $480 in ‘free kick’ credit over the course of two years. While we can’t compare Simply Energy’s costs with Lumo Energy in NSW, we can show you estimated prices for five person households with Simply Energy in Sydney and how they stack up against other providers in the state, including Red Energy, in our NSW electricity price comparison report. Simply Save: This is Simply Energy’s basic residential offer to customers in Brisbane and the south east of Queensland, bringing a modest 10% discount off energy usage charges over the term of the 12 month contract. It is a variable rate plan with no exit fees. Simply Plus: An upgrade on the above plan in terms of its conditional discount, the Simply Plus plan provides a maximum of 18% off usage charges over a 24 month benefit period. However, despite being a two year deal, exit fees do not apply. Simply RACQ Plus: This is Simply Energy’s exclusive offer for RACQ members in Queensland. Over two years, it offers up to 21% off electricity usage charges and no exit fees apply. Simply Movies Plus: This is Simply Energy’s movie offer for customers in Queensland. It comes with a 10% conditional discount and 16 Gold Class movie tickets to use during the 24 month benefit period. Exit fees apply do not apply. Simply AFL Plus: This is an energy offer targeted at fans of Aussie rules football in Brisbane. With a 10% pay on time discount, is it very similar to the above plan, but also includes up to $480 in ‘free kick’ credit over the course of two years. Simply Energy is a reasonably competitive retailer in Queensland. Find out how much you can expect to pay and how Simply compares to offer retailers in the state with our QLD price comparison report. It’s clear that both Lumo Energy and Simply Energy have plenty of enticing energy offers to choose from. That said, finding the best deal might require some digging past the headline discounts and incentives, and into the price factsheets of the plans you are interested in. Discounts can be a great way to reduce your overall costs, but only if you’re also receiving competitive base rates – it’s all about finding a plan that offers you the best overall value. Also keep in mind that prices often change, meaning customers must keep vigilant and regularly compare deals to ensure they’re receiving the best offer. If you haven’t compared electricity providers or plans in the past 12 months, then you might not be receiving the best price on electricity. By clicking on a brand, ‘go to site’ or ‘details’ button, you will leave Canstar Blue and be taken to our referral partner to compare. Canstar Blue may be paid for this referral. You agree that Canstar Blue’s terms and conditions apply to this referral.